Even the great bad guys in cinema history, they’re likable. I didn’t do the typical things that young kids do. It’s been such a group effort. When you’re a new band and you have limited resources, you end up getting people that are there because they love what you do, and that’s great. My theory is, independent movies only work if you’re willing to push the material and do something different. Like, they know that I have a habit of rubbing my earlobes, I’ve been doing it since I was two. The big things I’ve had are things I bought myself. 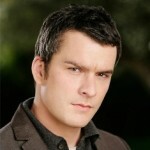 Balthazar Getty is an American film actor and member of the band Ringside. He is known for the roles of Thomas Grace on the American action drama Alias and Tommy Walker on the ABC drama Brothers & Sisters. Getty was born Paul Balthazar Getty in Tarzana, California, and raised in San Francisco before being sent to private school in the United Kingdom, where he was enrolled at Gordonstoun School, a boarding school that has educated three generations of the British Royal Family. His great-grandfather was Jean Paul Getty, founder of the Getty Oil Company, and at one time one of the richest men in the world. His grandfather was Sir Paul Getty; his father was John Paul Getty III; his mother, Gisela is a professional photographer and documentary filmmaker. His parents divorced in 1993. He has a maternal half-sister, Anna. Getty is on the board of directors for The Lunchbox Fund, a non-profit organization which provides daily meals to students of township schools in Soweto of South Africa.